Ronnie Franklin Brewington, the son of the late Pearlie and Paul Brewington, who was born July 22, 1941, passed away on Wednesday, August 22, 2018 at Vidant Medical Center in Greenville, NC. Ronnie was a member of the New Bethel Baptist Church in Clinton, NC and a former member and Sunday School Teacher of Mt. Sinai Holiness Church. Ronnie was united in Holy Matrimony to Dorothy Jacobs on March 22, 1968. 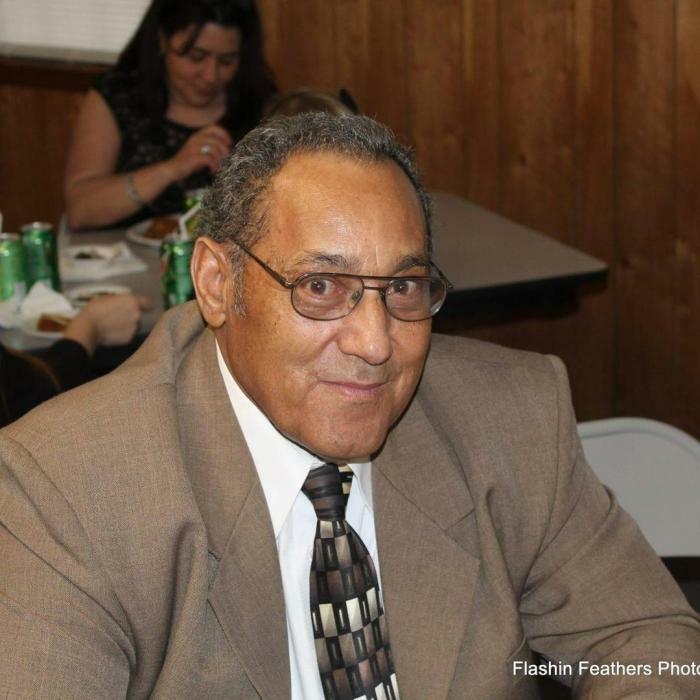 Ronnie was an active part of the community and member of the Coharie Tribe in Clinton, NC. He worked as Project Superintendent for Miller Building and retired as a Construction Superintendent for J. S. Clark. Ronnie was an avid bible reader and teacher at heart and always wanted to talk about Bible scripture. He was very concerned about seeing people become saved and helping to lead the lost to Christ. Although Ronnie was born in Clinton, he and Dorothy moved to Lake Waccamaw to raise their young family. They attended numerous community events, tribal functions, funerals and homecomings over the years while raising their daughters and one son. Ronnie is survived by his four children; Shonnie Denise Spiesberger (Todd), Veronica Kay Freeman (Rudolph), Pamela Shena Brewington, and Ronnie Franklin Brewington II (Melissa), and Samantha Danielle Brewington; ten grandchildren; two great-grandchildren; two brothers, Alfred Brewington (Gundy) and Bobby Brewington; sister, Susan Dale Brewington; and a host of relatives and friends. Preceding him in death was his wife of 49 years, Dorothy Jacobs Brewington, daughter, Dorothy Carol Brewington; three brothers P. W. Brewington, Gene Brewington, Tim Brewington and two sisters, Edith Gail Locklear and Elise Doan. A funeral service will be held at 3 PM, Saturday, August 25, 2018 at Mt. Sinai Holiness Church at 6690 Old Lake Road, Bolton, NC 28423. The family will receive friends at Mt. Sinai Holiness Church one hour before the service and at other times at the home. Interment will follow at the New Hope Baptist Church Cemetery at 7857 Old Lake Road, Bolton, NC 28423.